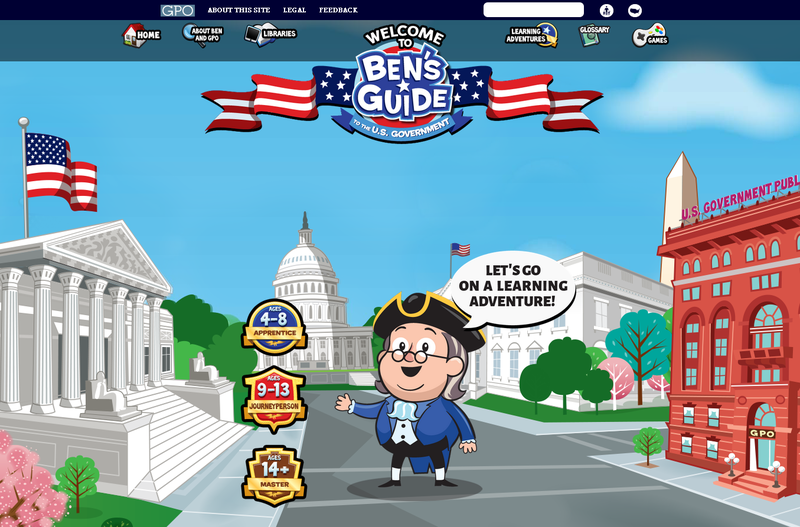 Ben's Guide to the U.S. Government has long been a resource for parents and educators looking for easily digestible information for kids who need to learn about how the U.S. Government works. The website recently underwent a complete makeover and now features a friendly cartoon home page with quick links for different age ranges. If you've never visited Ben's Guide, or it has been a while, be sure to check it out! New improvements to the site include a glossary with over 80 terms and definitions, downloadable, printable activities like word searches and crossword puzzles for each age range, and if you're a library, update your website with a downloadable graphic that can be used to advertise Ben's Guide. For any age, test your knowledge of the three branches of government with their quiz game Branch Mania!.